We Brits practically invented eccentricity, so it was only a matter of time before I felt the urge to write something about off-centre winemakers. You might think all those Brits trying to grow English wine are pretty crazy (think rain, rain and then a whole load more rain), but there are winemakers who are even stranger! Here are three fabulous personalities I’d love to meet. Coming in at number one is Dutchman Ilja Gort who famously insured his nose for 5 million euros. Gort owns the 13th century Chateau la Tulipe in Pessac-Leognan in Bordeaux where he produces Merlot-dominated reds with the help of flying winemaker Michel Rolland. According to Gort, his nose is worth so much because it is essential to safeguard the quality of the wines he produces. He may be on to something. At least now he won’t have to worry about his nose the next time he gets into a sabre duel with a winemaking competitor. Gort makes three lines of wine at la Tulipe, one of which is called Slurp. While his top wines have won various prizes (e.g. Best Bordeaux wine at the London International Wine Challenge), Slurp is more about those cheap and cheerful everyday wines which give pleasure without emptying your pockets. Wines that you can happily slurp all day. Anything else you should know? Well, he’s quite a character! Before he took the brave decision to enter the wine industry, Gort was best known for his musical talent. According to this insightful interview he gave to Tasting Britain, “Making music is the nicest thing one can do with his clothes on.” He wrote the music for companies like Coca Cola and Heineken, and composed the theme tune for Nescafe before giving it all up for wine. Gort has also found time to write a wine thriller, several other novels and three books for children, and make TV programs. A busy man, that Gort. Our second wild winemaker is actually a bonafide Frenchman. Now, us Brits have long known that the French can be a little odd (there’s the pot calling the kettle black! ), but Didier really took things to extremes. He set out to overturn traditional in the conservative kingdom of Sauvignon Blanc, Pouilly-Fumé in the Loire fueled by quotes like Che Guevara’s ‘Be a realist, demand the impossible’ which adorn the walls of his winery. Didier dipped into biodynamic practices before abandoning elements that seemed illogical or fatuous. He experimented with no sulphur before realising it was hindering the ageing capability of his wines. Didier also tried ploughing his vineyards with horsepower, long before Domaine de la Romanée Conti jumped on the bandwagon. Choosing this gentle treatment of the land over a big clunky tractor boosts quality by minimising damage to the vines and avoiding soil compaction. But it wasn’t to last. Didier eventually retired the horse and went back to more standard practices. Didier certainly achieved or at least got damn close to his goal. His “Pur Sang” (named for the French word for a thoroughbred horse), “Silex” (named after P-Fumé’s classic slate soils) and the rare “Asteroïde” wines are pretty difficult to find and fetch both high praise and high prices. Didier is also the winemaker I’m least likely to meet from this list (barring an absolute miracle or divine intervention). Tragically he died in 2008 in a microlite crash in Cognac, but I like to think he enjoyed a final flight of brandies before he took off. The winery lives on, managed by his son and daughter (I was sadly unable to assess their eccentricity levels for this article, watch this space). 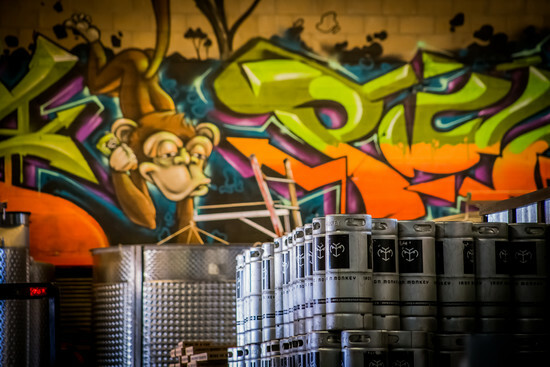 To even things up a bit, and to prove that it’s not just us Europeans who are a bit crazy, allow me to conclude with Ben Parson of The Infinite Monkey Theorem (or TIMT) winery in Denver. Parson (fellow Brit!) worked as a winemaker all over the world before settling on rugged Colorado to start his own project. His urban winery produces everything from Malbec and Petit Verdot to finely-perfumed Gewurztraminer and sweet Muscat. The real point of difference, though, is that Parson’s offerings include wines in cans and in kegs. The keg shakes up the wine industry by providing 25 bottles in one container, giving wineries the opportunity to make serious savings on packaging and also making the wine more environmentally friendly. The keg wine stays fresh thanks to a mixture of nitrogen and carbon dioxide which is pumped in whenever the tap is opened. The wine in a can comes from a more consumer-oriented approach. Parson noticed that Colorado has a definite outdoors culture, but many events ban wine glasses and glass bottles for obvious health and safety reasons. Think football stadiums for one (drunk fans + glass bottles = tomato sauce all over the floor). With the can you can take your wine pretty much anywhere. And of course, it may also tempt some beer-swillers over to the dark side. 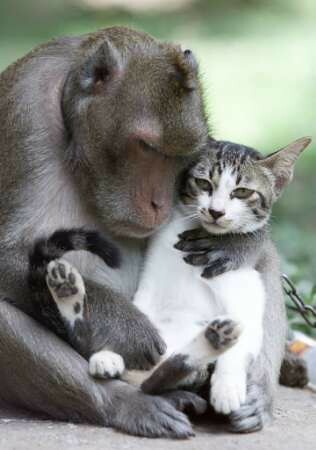 TIMT only employs humans, leaving monkeys free to socialise with their favourite furry friends. Salim Virji via flickr. I’ve left the most obvious eccentricity til last (to make you read to the end of course). So what about that whacko winery name? According to the TIMT website it comes from the mathematical theory ‘that a monkey hitting keys at random on a typewriter for an infinite amount of time will almost surely type a given text, such as the complete works of William Shakespeare’. Yes, you’re none the wiser, right? According to TIMT it’s all about creating order from chaos, which is what they do when they produce their wines from those wild Colorado grapes. So you can rest assured that no monkeys are harmed in the making of this wine. Got any favourite eccentric winemakers you want to share? Feel free to leave a comment below! I was going to alert you to Didier’s unfortunate demise, but it seems as though you are up to date on that…. Yes, sadly. Would have loved to meet him. Did you ever meet him? I think that I will start hitting keys at random and who knows I might come up with the ideal winelist! What a great list! I’d never heard of any of these lovely and eccentric winemakers, but now I have AND have several new wines on my list to try. 🙂 Still boggles my mind that Gort insured his nose. At least he has a story to tell. Some of the best people in the world are the weirdest people. Thanks! Glad you enjoyed it. Think it may well have been a publicity stunt, but it definitely seems to have worked! Real life is stranger than fiction, that’s for sure!